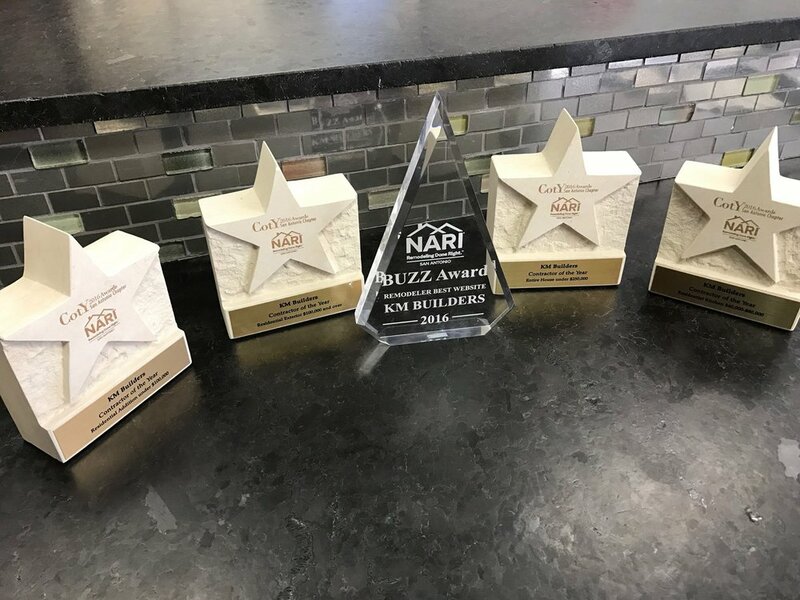 We are pleased to announce that KM BUILDERS took home five awards from the annual National Association of the Remodeling Industry's (NARI) Evening of Excellence on Friday, November 18. The annual event brings together builders and remodelers from all over the San Antonio area and encourages friendly competition in the Contractor of the Year (CotY) Awards program. We are so thankful to our wonderful clients who continue to come back to us time and again for their remodeling needs. It's because of you that we are able to do these beautiful projects and participate in these fun competitions.